So you've chosen the beautiful island of Oahu for your upcoming getaway; and you've made an excellent choice. Of course, no trip to the 'The Gathering Place' would be complete without gathering together for some fun and adventure in the island's gorgeous tropical waters. We've put together the absolute best water activities the island has to offer. Check out our great rates on these spectacular adventures- there's something for everyone. No Oahu vacation would be complete without setting sail on the island’s gorgeous waters. How about sitting back, having a nice dinner, and watching the sun set on a spectacular Oahu cruise? Not enough ocean time for you? Then an all-day ocean adventure with the kids fits the bill perfectly. And if you’re visiting in winter, you cannot miss heading out on an Oahu whale watching tour for memories that’ll last a lifetime. 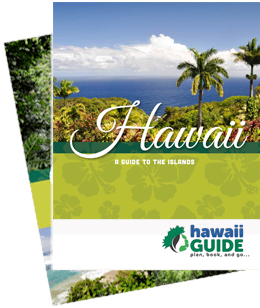 No matter how you’d like to experience Oahu, Hawaii Guide has the perfect sailing tour for you. Book yours today. There’s so much to see and do on Oahu, but don’t forget some of the most beautiful sights in Hawaii can be found underwater. Snorkel and swim with sea creatures of nearly every color of the rainbow: coral reefs, Hawaiian green sea turtles, spinner dolphins, and more tropical fish than you can imagine. Everyone from kids to adults and newbies to snorkeling veterans will love these Oahu snorkeling tours. Book yours soon and get in on the fun! Surfing has its home on Oahu- the surf mecca of the world- that’s why no trip to the island would be complete without catching a wave. Never done so? No worries, then, because an Oahu surf lesson will have you riding one in no time. And if you’d feel better with a paddle in your hand, a paddle board lesson is the perfect solution. You can even make a full day of your adventure and do a little of everything… perfect! Book soon, as these tours fill up quickly. If you haven’t had an up-close-and-personal encounter with some of Oahu’s most amazing sea creatures, you’re in for a real treat on these marine life tours. Whether you’re gazing in wonder at the majestic humpback whales or sharing the water with the gentle manta rays or the feared and misunderstood sharks, visitors of all ages will find the perfect tour in these great selections. Think you’ve seen all the ways to explore Oahu’s waters? Well, think again because here you’ll be able to dip your kayak paddle, zoom along on your jet ski, and even fly over the waves. Can’t decide if you’d rather be on or above the waves? Then check out windsurfing and kiteboarding for the best of both worlds. Enjoy our handpicked tours and book yours today.